ʻIn recent times, the carving tools that fit ever so well in my hands are often replaced with domestic tools. The steam iron, sandwich press and oven are ʻnew toolsʼ that offer new processes of heat and fusion to my work. Multicoloured collages of cut and carved PVC form into patterns of growth – a two-speed economy ranging from the curious growth-like plodding pieces to dynamic explosions of boom and bust. 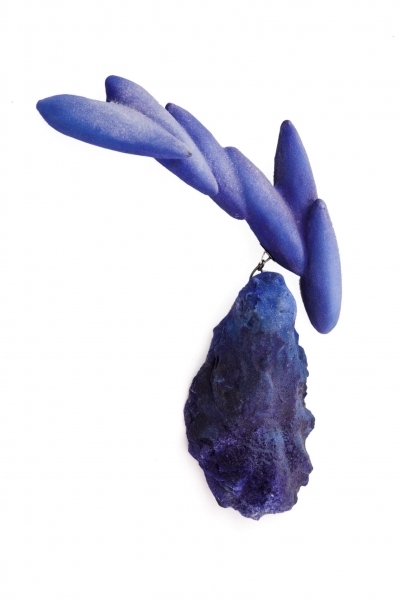 A touring exhibition from Canberra featuring jewellery, glass and metal. Incinerator Art Space in Willoughby, Sydney (31 Oct 2012-25 Nov 2012), after the exhibition at the Incinerator Gallery. 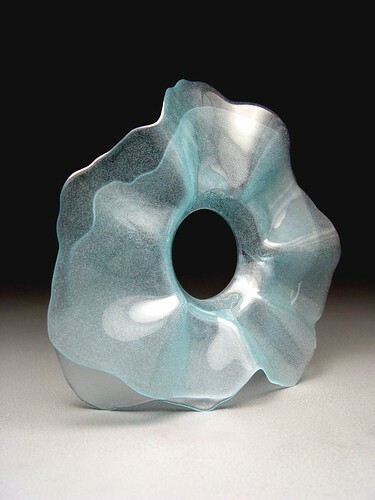 ARTISTS: Alice Potter — Alison Jackson — Carlier Makigawa — Christopher Robertson — Cinnamon Lee — Dore Stockhausen — Eliza Gregerson — Eugenie Keefer Bell — Sophia Emmett — Helen Aitken-Kuhnen — Janice Vitkovsky – Jess Dare – Jill Hermans — Johannes Kuhnen — Kath Inglis — Kirstie Rea — Lan Nguyen-Hoan — Marcus Foley — Mark Edgoose — Mark Vaarwerk — Mel Douglas — Tanja Taglietti — Mio Kuhnen — Mel George — Melissa Cameron — Michelle Taylor — Nicholas Bastin — Clare Belfrage — Tom Rowney — Sarah Rothe — Scott Chaseling — Klaus Moje — Simon Cottrell — Sarah Murphy — Ximena Natanya Briceño — Sue Lorraine — Vicki Mason — Robert Foster. Melissa Cameron. Ray, 2012. Stainless steel, vitreous enamel, 925 silver fixings. JamFactory Metal Design Studio alumni Kath Inglis, Tassia Joannides, and Erin Keys exhibit together for the first time in « Bend, Stitch, Carve ». Showcasing their varying approaches to contemporary practice, this exhibtion highlights both material and process. 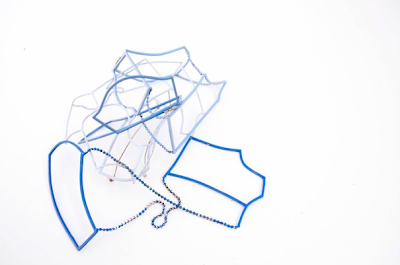 Graduating in Jewellery and Object Design from Enmore Design Centre (SIT), Erin Keys established her practice at her studio in the Blue Mountains exhibiting nationally and working as a production assistant for Sydney based contemporary jewellers. In 2006 Erin left Australia to travel to Eastern Europe and lived in Bosnia Herzegovina until joining the Metal Design Studio JamFactory in 2008. She has exhibited nationally and most recently was selected to exhibit at Talente, International Trade Fair Munich and Preziosa Young in Florence Italy and Galeria Sztuki, Poland. Drawing from ideas that are based in mark making, the cursive style of calligraphy Keys uses explores concepts of communication and language. The calligraphic pen strokes that begin on paper, transform into graphic metal objects, and in reclaiming ownership of the body, can be best understood as the repurposing of an idea into space. Using traditional jewellery making techniques her work captures a gestural energy that is suggestive of street ‘tags’. 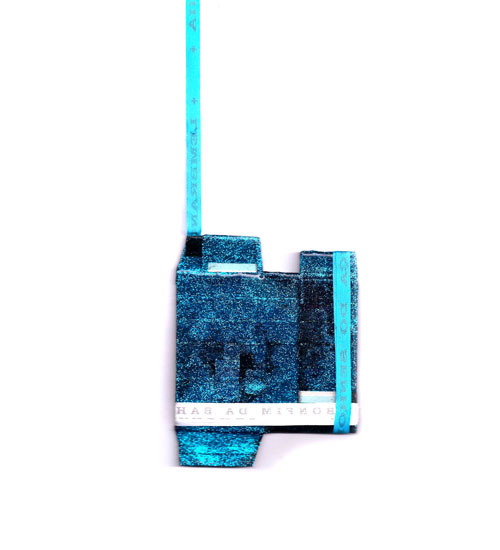 Abstracted from their origin these calligraphic forms become aesthetic artefacts of Keys’ urban landscape. Tassia Joannides “panel stitch bangle” using hand cut panels of bicycle inner tubes. Tassia Joannides received her Bachelor of Fine Art with Honours from Monash University in Melbourne before moving to Adelaide to work in the Metal Studio at JamFactory Contemporary Craft and Design. After four years living and working interstate Tassia returned to Melbourne to continue her practice. 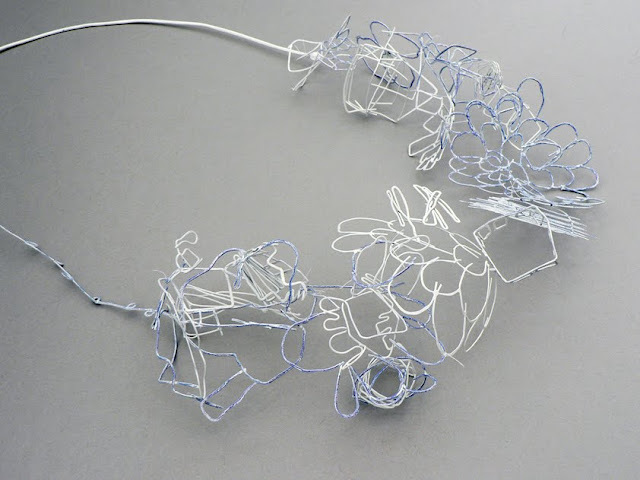 She regularly exhibits her jewellery and sculptures both nationally and overseas, recently travelling with her work to exhibitions in Japan, Germany and the USA. Tassia sees her practice as an investigation of form and how it can interact sensitively with the body, sometimes even as an extension of it. 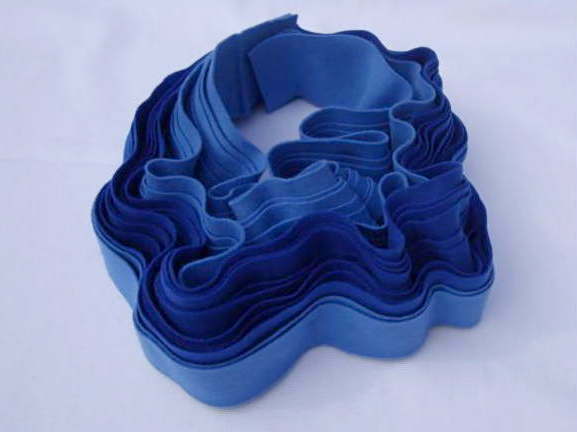 Typically she works with flexible materials which aid this special interaction and inspire her to push the boundaries of three dimensional soft structures. 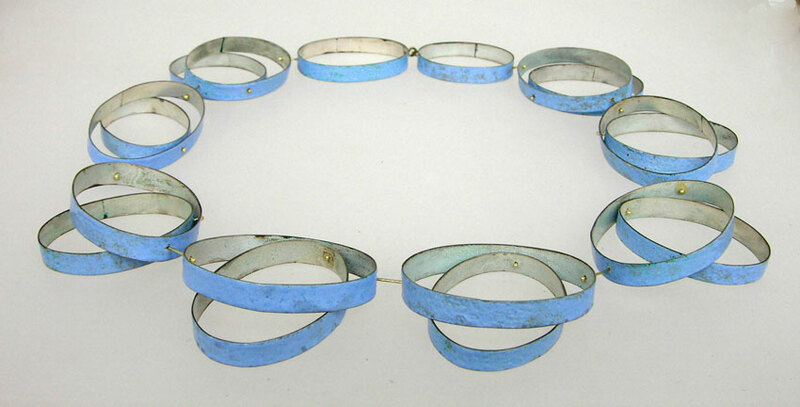 Raised in Darwin, Kath Inglis moved to Adelaide to study contemporary jewellery. 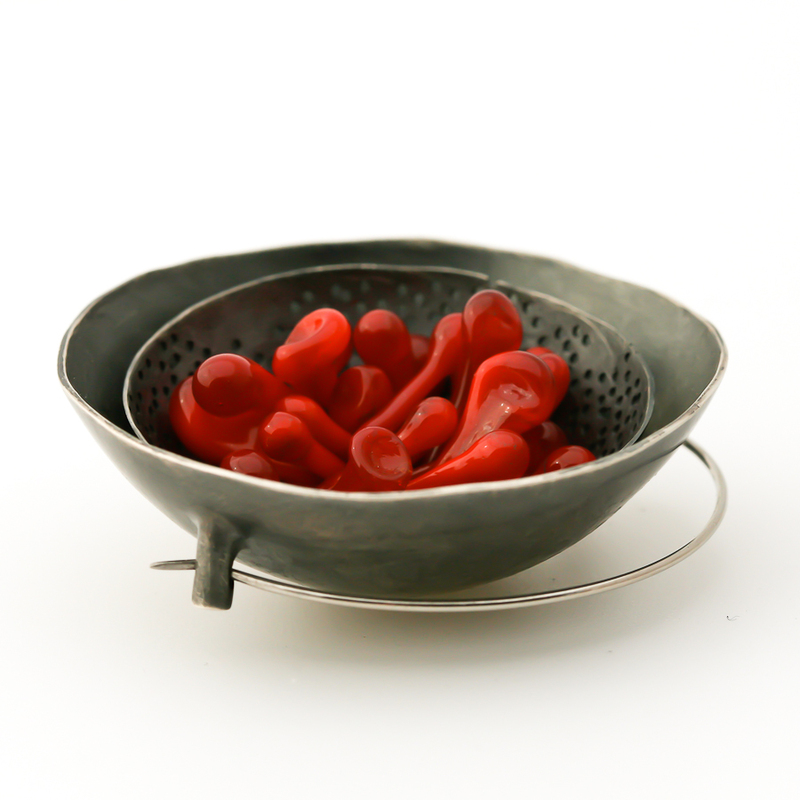 After graduating from the South Australian School of Art in 2000, Inglis continued to develop her practice by working from a number of studios, including the renowned Gray Street Workshop and, as a Design Associate, at JamFactory Metal Design Studio. 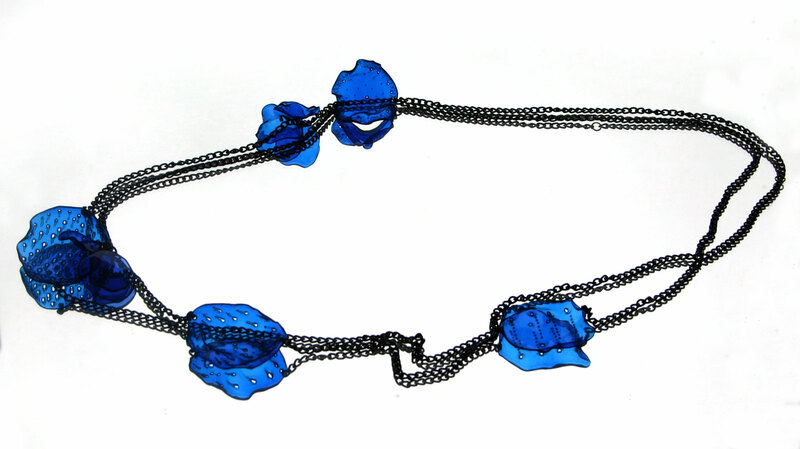 In 2005, Inglis partnered with Naomi Schwartz, to establish soda and rhyme│jewellery design studio. A combination workshop, retail and gallery space, soda and rhyme features exhibitions of small scale objects and contemporary jewellery. 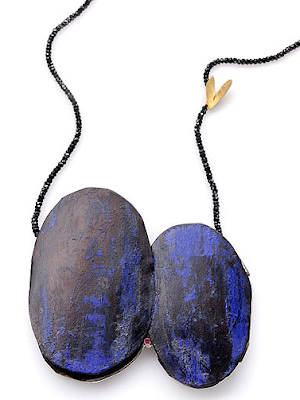 Inglis’ signature works are wearable pieces constructed from coloured and hand carved PVC. Inspired and intuitive patterns are cut into the surface of the plastic, transforming this seemingly ordinary material into something precious. 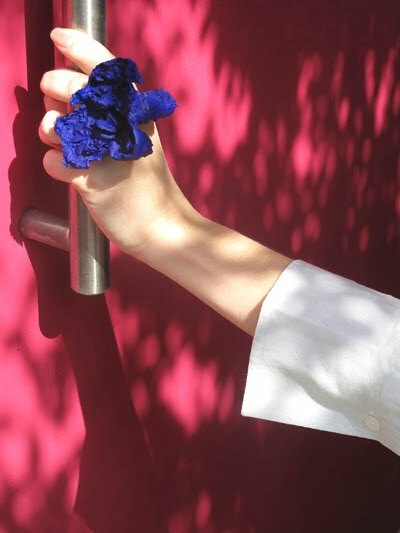 Inglis’ practice is multi-faceted and includes frequent exhibitions in national and international galleries, large scale collaborative public art projects and lecturing in jewellery at the University of South Australia. 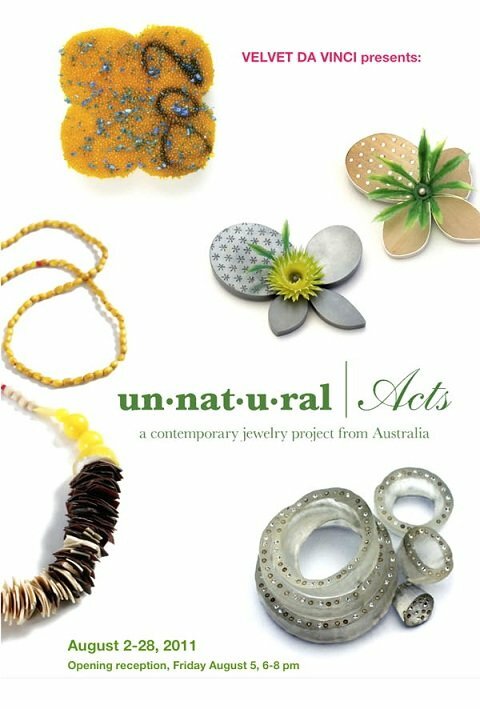 To coincide with the exhibition unnatural Acts, Lauren Simeoni is presenting a jewelry workshop focusing on the theme unnatural jewelry. Participants will be encouraged to experiment with and deconstruct a variety of found materials while developing and working to a theme. This workshop will be hosted by the Metal Arts Guild and held at Velvet da Vinci. Workshop will be held from 10 to 4 on August 6th. Reservation required; space is limited. 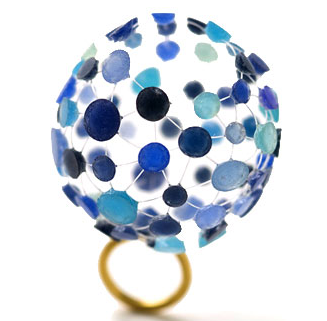 ANNA DAVERN is one of Australia’s most respected contemporary jewellers. 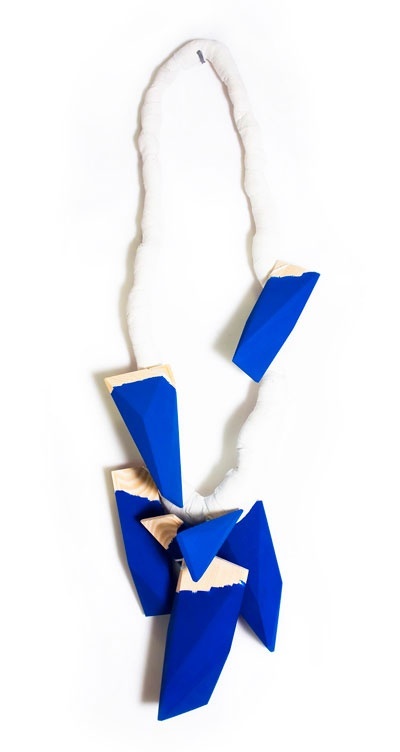 Her practice straddles the visual arts, jewellery and fashion. She gained her undergraduate degree in Jewellery and Object Design at Sydney College of the Arts and her post-graduate studies and subsequent Masters degree were completed at RMIT, Melbourne. Davern works from her studio in Flinders Lane, Melbourne. She exhibits regularly and has held two major solo exhibitions at Craft Victoria, Melbourne. She has been represented in numerous Australian and international group exhibitions. She is the recipient of numerous grants and awards and has participated in residencies in Sydney and Tallinn, Estonia. CAZ GUINEY‘S concept-based practice engages with public space, attempting to establish a dialogue among the landscape, the object and the body. 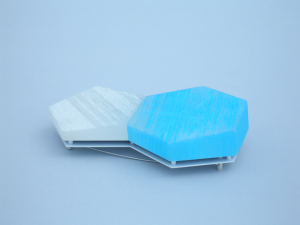 Her work draws on the urban fabric as a source of material and inspiration for jewelry. 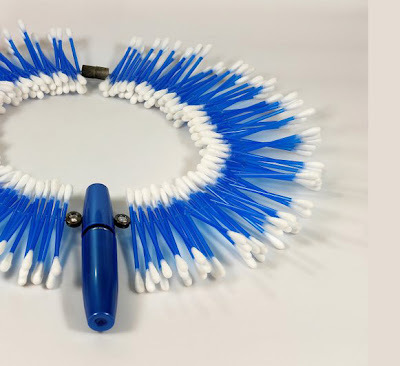 Guiney’s work includes site-specific jewelry installations and responding enthusiastically to briefs such as unnatural Acts. 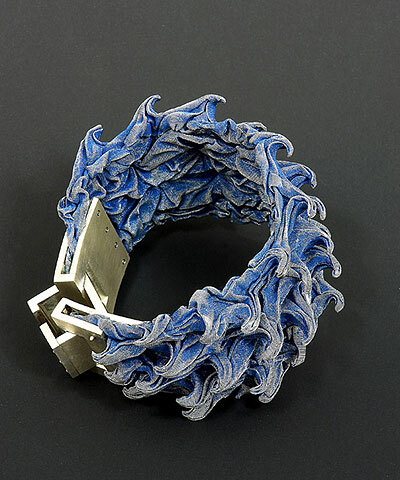 In 1995, Guiney completed a Bachelor of Art in Jewellery and Metalsmithing at Monash University, Australia. Since 1997 she has exhibited throughout Australia and in New Zealand, Japan, Korea, Germany, Chile and the USA and held three solo exhibitions. She has been the recipient of two New Work Grants from the Visual Art & Crafts Board of the Australia Council and an Arts Development Grant – Creation from Arts Victoria. Currently she teaches in the Jewellery and Visual Arts Departments of the Northern Melbourne Institute of Technical and Further Education (NMIT). KATH INGLIS was raised in Darwin and moved to Adelaide to study jewelry. After graduating from the South Australian School of Art in 2000, Inglis continued to develop her practice by working from a number of studios, including the renowned Gray Street Workshop, JamFactory Metal Design Studio and soda and rhyme. The workbench is now located in a gorgeous home studio in suburban Adelaide surrounded by a native garden. Inglis’ practice is multi-faceted and includes frequent exhibitions in national and international galleries, large-scale collaborative public art projects and teaching. Inglis is also a member of the Craftsouth board. 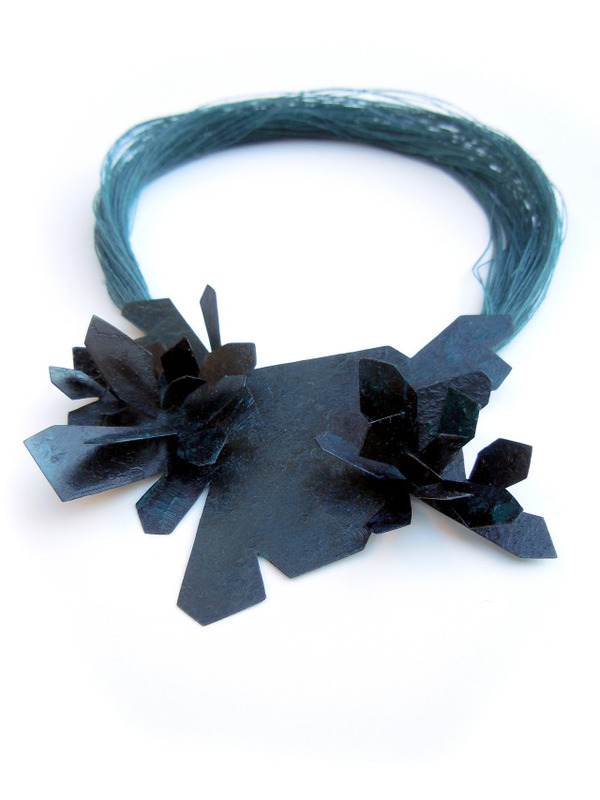 BRIDGET KENNEDY completed an Advanced Diploma of Jewellery and Object Design at the Design Centre Enmore, NSW in 2005. She was then awarded the College Achievement Award and the Jewellery and Object Design Scholarship (a one-year residency within the College). 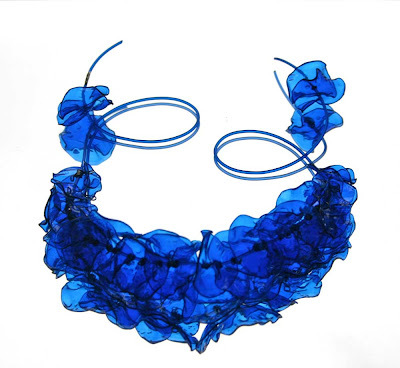 In 2006 she was awarded first prize in Graduate Metal X, an exhibition of works representing 64 recent ‘jewellery and object’ graduates from art schools around Australia. 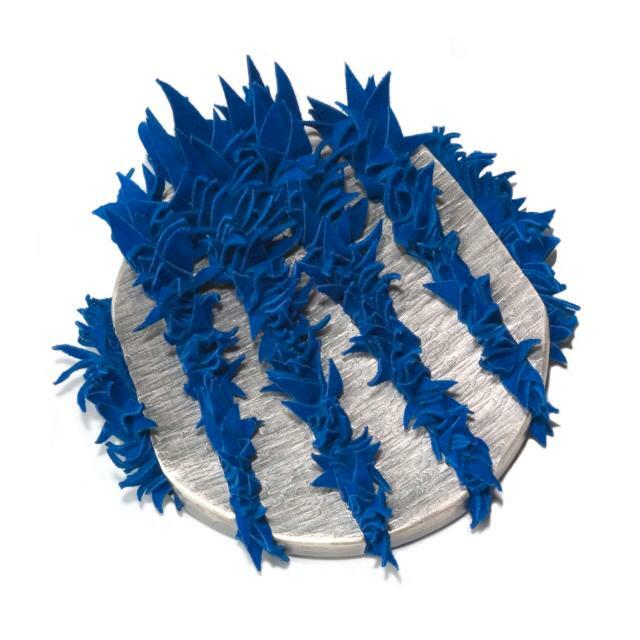 She was also selected as a finalist to exhibit in the 2006 City of Hobart Art Prize, and more recently was the winner of the ‘emerging artist’ category in the 2008 JMGA (Jewellers and Metalsmiths Group of Australia) NSW Profile Award. 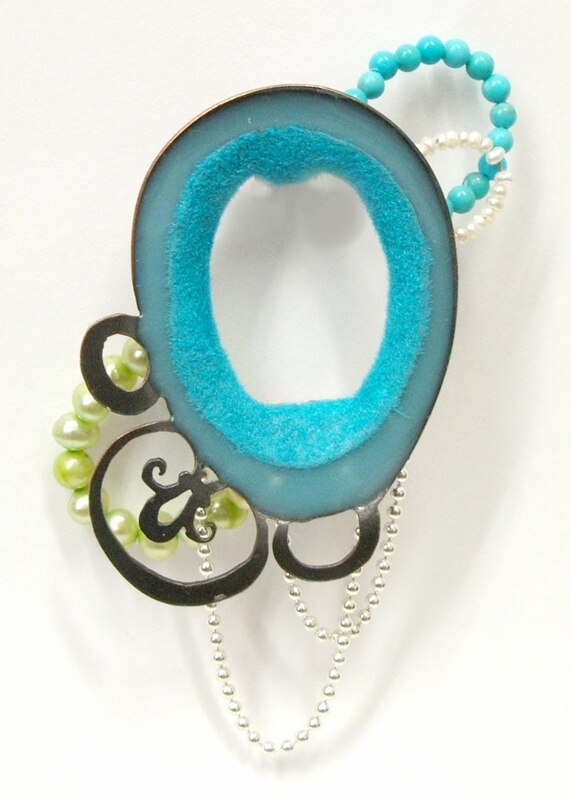 In 2008, she opened Studio 20/17, a contemporary jewelry gallery with fellow jeweler, Melanie Ihnen. 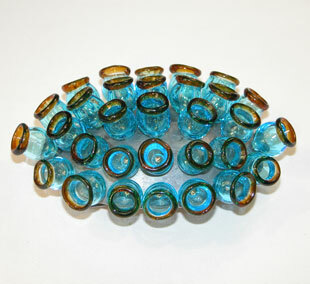 The gallery is committed to increasing the profile of contemporary jewelry within the wider arts arena. PETA KRUGER worked as a graphic designer and illustrator before studying visual arts at the Adelaide Centre for the Arts, South Australia. After finishing her degree she worked for Scott Wilson and Jane Adam, both based at Cockpit Arts in London and on returning to Adelaide, completed an associateship in the Metal Design Studio at the JamFactory. Her first major solo exhibition was held at Metalab, Sydney in 2009 followed by the JamFactory in 2011. 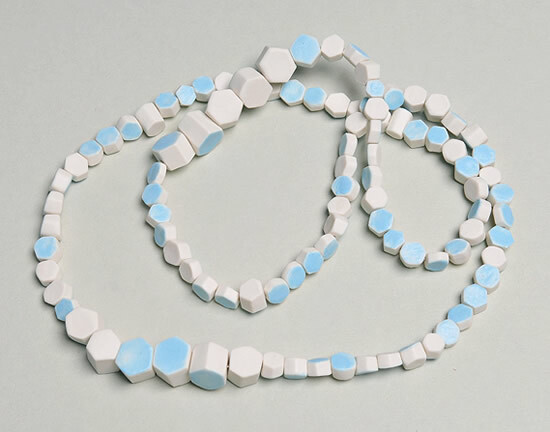 In 2011 she will be undertaking a mentorship with German/New Zealand jeweller Karl Fritsch with the assistance of a Jump Mentorship grant from the Australia Council for the Arts. She is currently based at the JamFactory in Adelaide. SIM LUTTIN recalls that her earliest memory of what she wanted to be when she grew up was an inventor. She has a Masters in Metalsmithing and Jewelry Design, Indiana University, USA and a BFA in Gold and Silversmithing, RMIT, Melbourne, Australia. Luttin has held solo exhibitions in Melbourne and Sydney as well as participating in numerous group exhibitions nationally and internationally. In 2009 she was commissioned to make the prestigious Emeritus Medal for the Australia Council for the Arts. 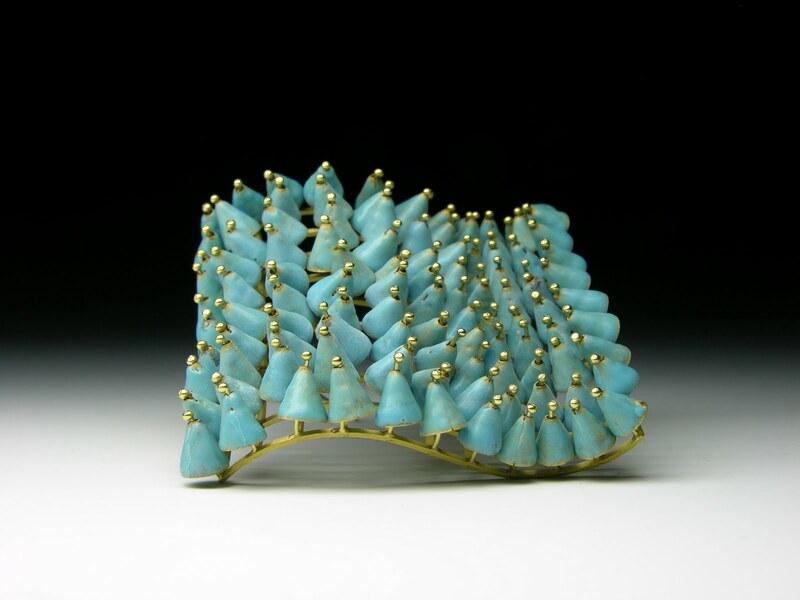 She won the Alma Eikerman Award for Metalsmithing while studying at Indiana University, and has been the recipient of an Australia Council Emerging Artist New Work Grant. Luttin has pieces in the collections of Galerie Marzee, NL and the Art Gallery of South Australia, and work included in numerous publications. In addition to her contemporary jewelry practice, Luttin is the Gallery and Exhibitions Manager at Arts Project Australia, Melbourne. NATALIA MILOSZ-PIEKARSKA initially attained a degree in Design/Visual Communication before going on to complete a BA (Honours) in Gold and Silversmithing at RMIT, Melbourne. 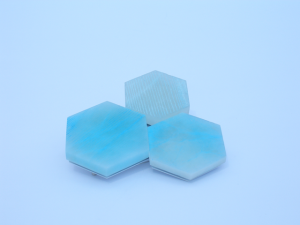 Natalia now works from her Melbourne based studio as a contemporary jeweler and artist, making and participating in a diverse range of exhibitions and projects. Natalia also teaches at RMIT within the Gold and Silversmithing Department and is currently undertaking a six-month internship in London, UK, with renowned fashion jeweller Scott Wilson as part of the British Council, Australia’s Realise Your Dream Program. 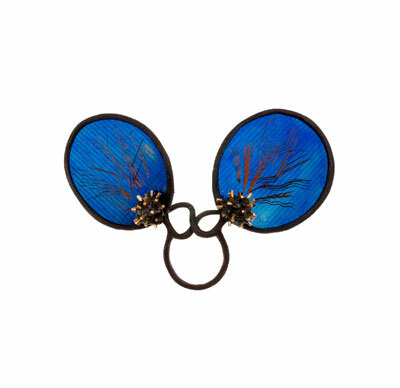 Natalia’s primary focus lies in the realm of amuletic and talismanic adornment. 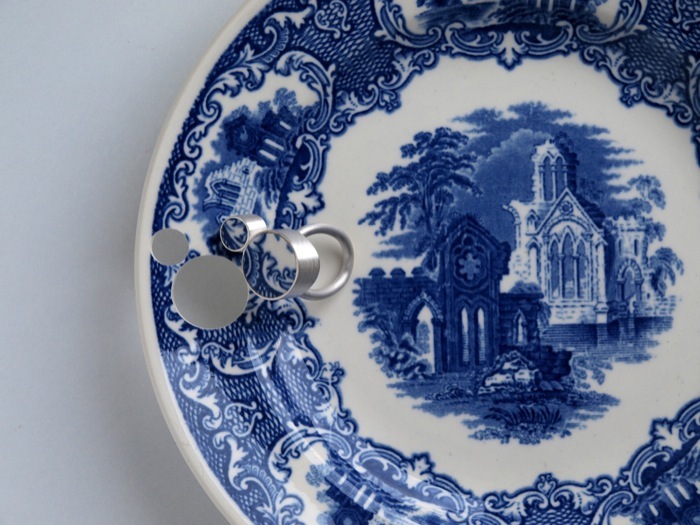 With much of her research delving into various aspects of superstition, folklore and ritual, her work explores our human inclination towards charmed objects and the power of belief. LAUREN SIMEONI is an Adelaide-based artist working from the Gate 8 workshop collective. Simeoni has a Bachelor of Arts in Gold and Silversmithing from Canberra School of Art; a Design Associateship at the Jam Factory and a 1-year mentorship at Gray Street Workshop in Adelaide followed this. She exhibits nationally and internationally including five solo exhibitions, is the recipient of numerous grants and has undertaken several public art commissions. Her work appears in numerous publications and is held in collections including the Art Gallery of South Australia. Simeoni also guest lectures at universities and actively participates on South Australian Craft and Arts boards and projects. Simeoni is currently working on the ongoing collaborative exhibition project unnatural Acts with Melinda Young. MARK VAARWERK is a modern day alchemist. 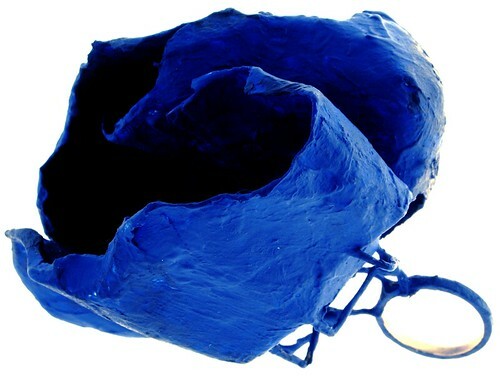 He is renown for his innovative and inventive jewellery practice that focuses on the transformation of throwaway plastics, masterfully rendering mundane materials into items of preciousness and intrigue. 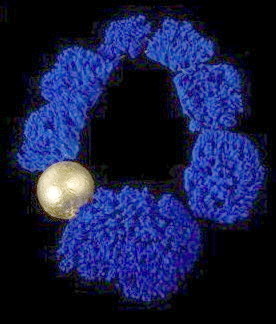 Vaarwerk completed an Associate Diploma of Arts (Jewellery) at the Sydney Institute of Technology, Enmore in 1997. Since graduating he has exhibited his work extensively nationally and internationally, most recently at Ventura Lambrate 2011, Milan. He has been the recipient of Research Grants from the Australia Council for the Arts and participated in several residencies in the UK. His work has been included in numerous publications and he has shared his unique material knowledge through teaching workshops at universities and colleges around Australia. MELINDA YOUNG completed a Master of Visual Arts in 2002 at Sydney College of the Arts. She has participated in over 100 exhibitions in Australia and overseas since 1997, with recent solo exhibitions in Sydney, Adelaide and Melbourne. Since 2008 she has also been working on unnatural Acts, a collaborative exhibition project with Lauren Simeoni. In 2008 she won the JMGA, NSW Profile Award for an established artist. Her work has been included in several publications and is held in public collections including The Art Gallery of South Australia and the Museum of Art, Architecture and Design, Oslo, Norway. Young has had a professional involvement with contemporary craft and design as a curator and writer, and through employment in galleries. 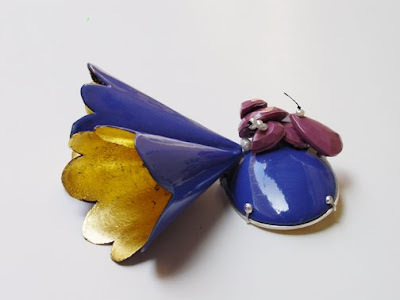 She has taught jewelry at a tertiary level since 2000 as well as conducting exhibition workshops at galleries and universities in Australia and New Zealand. She currently teaches at COFA, University of NSW and Sydney College of the Arts.